Lego Bricks have been a big deal in my family since I was a young child. I remember making these huge elaborate statues with my brother at our grandparents house. They always had new Lego sets when we visited. Now all four of my children love Legos. Even little Mason plays with his bigger Legos with the help of his brother and sisters. 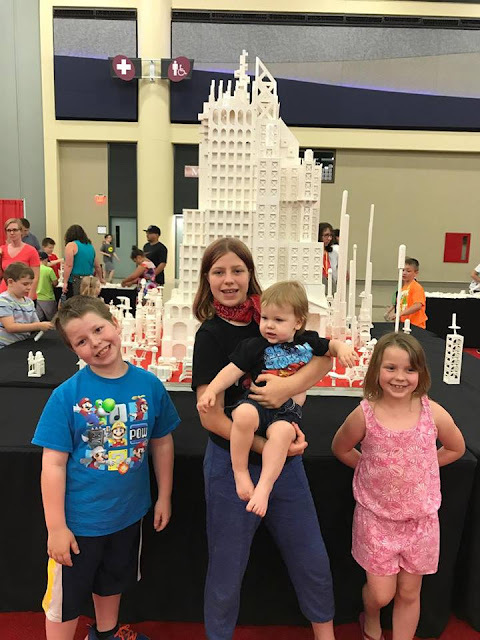 When I learned Lego was bringing this huge event to Buffalo, N.Y. (only a short road trip from where we live) I was super happy because I knew my children would freak if we were able to go! I aim to make my kids happy and I knew this would do it! The kids were very excited to be doing something in a big city. 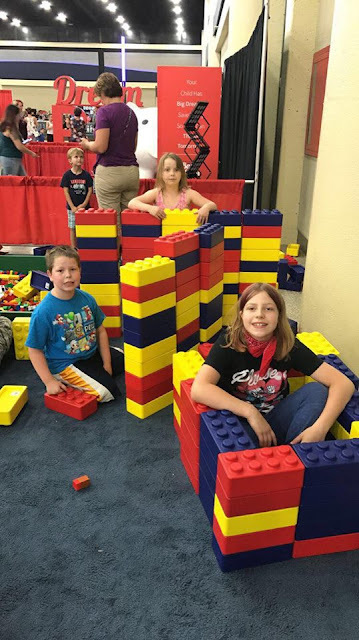 When we arrived at Brick Fest Live they were all out of patience, they had been waiting for days then throughout the 1.5 hour trip (with multiple stops, of course). We entered the building and gave over our tickets that we had printed at home. They were quickly scanned and we were admitted within a few minutes. Dylan was very excited about the escalators, therefore, I told Clifford he could ride up the escalators with the older kids and I would take the elevator with mason. 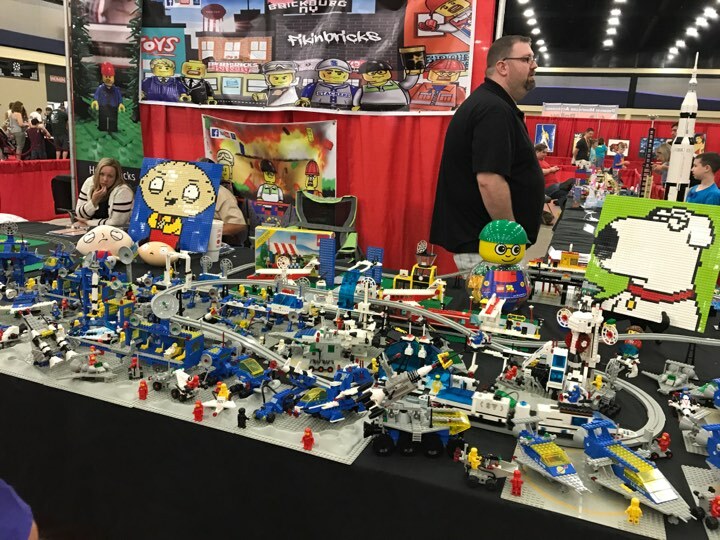 When we first entered the floor with the event we seen that there were many stations with many different Legos to visit. Not before the star treatment, I feel silly saying this, however, I felt a little like I was on the red carpet. We stood in front of a giant screen with the Lego man while they took our family picture. The station nearest to us was the first we visited, it was Lego architecture. There were tables set up around a large white building built entirely of Legos. Each table had many white Legos on it. 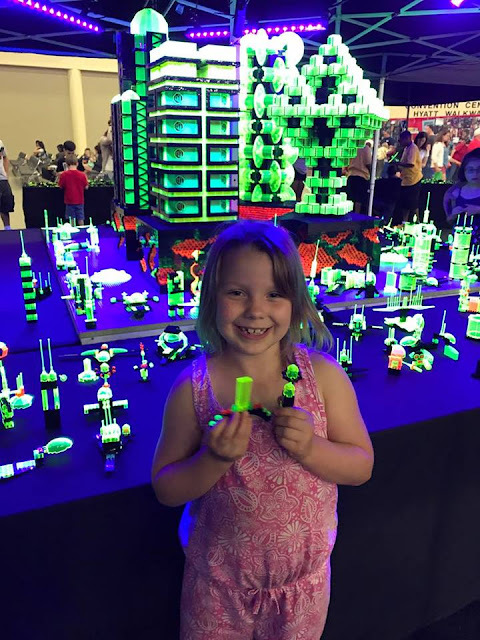 Kayla was very excited to stand at the tables, and build her own small contribution that she was able to place at the base of the tall building. It was hard to pry her away, but Leah and Dylan were excited to explore. Next we found many bins with colorful Legos there were also large soft Legos in this station. I originally thought this would be a perfect area to let the baby get down and play for a few minutes, but to my surprise all four of the kids enjoyed this area tremendously. We spent a lot of our time in this area they loved using their imaginations to build and to make furniture forts out of the large soft Legos. There was definitely something for everyone to enjoy. My favorite part was the Starry Night by Vincent Van Gogh. It was made entirely of Legos! After that we checked out the Lego race cars that were being built for an actual race (very cool.) My husband and Dylan were a bit more interested of course, all things wheels ya know... The kids all equally thrilled over the ring full of blue Lego Bricks. They made many different creations. I think we spent the second most amount of time here. They mention walking through hurt their feet a little but I say "Ah, Karma children, Karma"! Joking of course but for anyone that has ever stepped on a stray Lego (that wasn't picked up) you can feel me, right? We found another station that allowed you to make your own creation. At that station all the Legos glowed under the black light. We were all very impressed. Again, Kayla did not want to leave. While Kayla was finishing her masterpiece we went over to, and checked out the Lego movie that was playing on a large screen. All three watched part of the movie. Dylan was all eyes on the screen until he realized he was still. Quickly he began clamoring to visit the next area which was trains. There was also a video game stations with a Lego, Batman and other games. Near by the video game station was the miniature golf section. I was amazed that the holes where the golf balls go, were made of Legos. 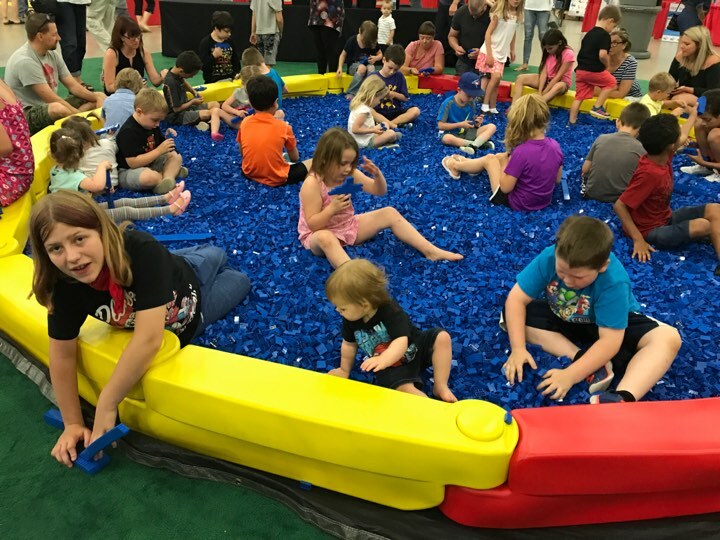 Who knew Legos could be used in making a mini golf course. Dylan was pretty good thought one of us had pictures of these stations, although, I can't seem to find them. I'll be very disappointed if I don't. Overall this was a delightful experience. I wasn't sure everyone (due to the age and maturity differences) would find something they would be ecstatic about, and bring the memories home for their memory banks. Over thinking again because from 18 months to 11 going on 16 they each loved several of the stations. My 11 year old would have never gotten to all the sections if we didn't make her move from one to the next. She was that interested and involved. 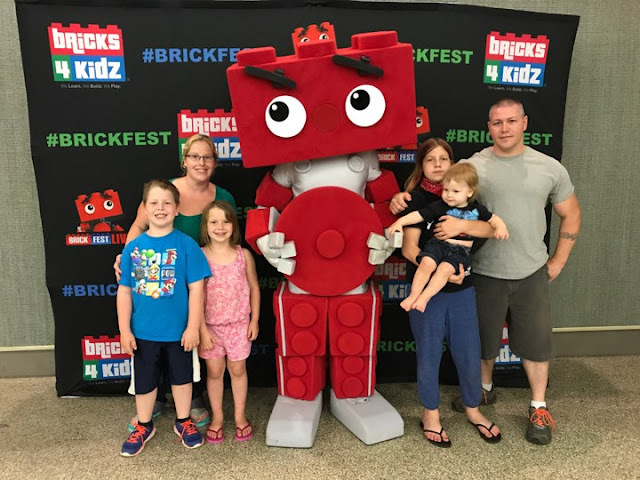 I would take my children again and would definitely suggest the #BrickFestLive Event to other families. They are traveling so if you are interested check to see if they are visiting a city near you! A HUGE Thank-You to those who made the event possible!